The Federal Aviation Administration (FAA) has announced that all flights in and out of Chicago’s O’Hare and Midway were grounded due to a fire at an air traffic control facility. More than 300 hundred flights have been cancelled, according to a flight tracking website. Fire crews have put out the blaze but the airports remain closed. 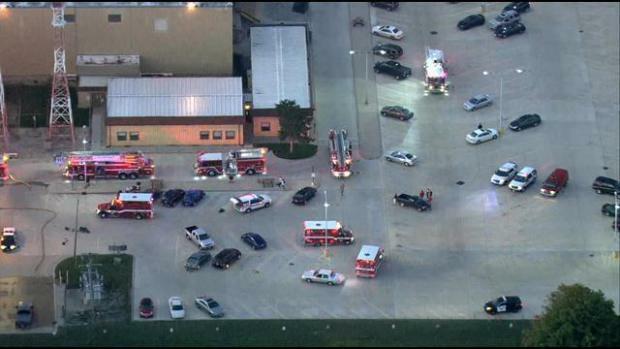 Firemen told the Chicago Tribune they found a man with self-inflicted injuries in the facility. The newspaper reported the man was found in the basement and was subsequently taken to hospital. It is not known whether he is connected to the fire. The Federal Aviation Administration is expected to reopen the airport within hours.